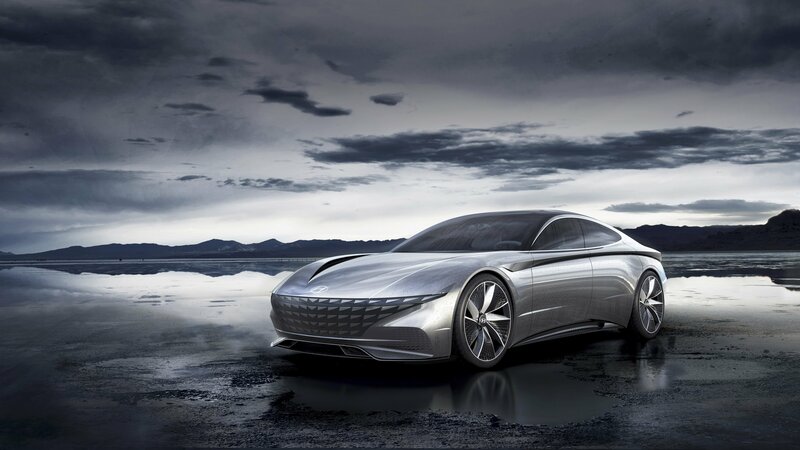 Hyundai is ready to look at the future as it reinvents itself and the Le Fil Rouge Concept is a display of how the Korean brand sees its destiny. It’s all-electric, it’s sleek, and it’s luxurious. How a model like this would wear a Hyundai badge and not a Genesis badge is a complete mystery, but the point is that Hyundai has high hopes and extreme desires. You can already see that the exterior is attractive and commanding, but inside you’ll find wood, unique styling, and heaps of technology. Oh, and like all cool-guy concepts these days, it has suicide doors as well. What else does the concept offer as far as vision goes and how much will make it to production? Let’s find out.